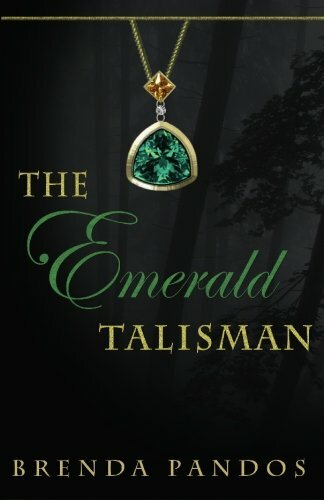 Other: First book in the Talisman series. The second book, The Sapphire Talisman, is already published. Let me start off by saying that this is not your standard vampire YA title! Brenda Pandos has managed to give the whole vampire world a new spin and I have to say, I like it! The story tells us about Julia, who lost her mother because of a freak accident ten years ago, and left her with psychic abilities that tell her what people around her are feeling. She would do anything to be normal. Unfortunately, when her car breaks down and she has two ways to go home, she picks the latter and finds herself facing danger and something she would never have thought possible. After that, Julia discovers she has a bloodthirsty stalker and she finds herself in the middle of a year old battle between supernaturals. The turn that Pandos took on the standard vampire stories was a nice surprise. It made me want to read more and more, so the least I could say was that I was hooked. Sure, Julia makes a couple of decisions that are questionable and I wouldn't have done, but since it makes a good story, you won't hear me complain about that. I think Julia can be a great friend when she pays attention (unfortunately, because of her psychic abilities, her mind is often somewhere else), but she's smart and alert. The best thing about her is that she's not one to back away from a fight - she'll never go down without a fight, and I loved that about her. The beginning of the book didn't have me hooked, but as soon as the story developed and the characters were brought into place, I couldn't put it down. Some of the minor characters (like Julia's friends) are really hard to seperate because of the lack of depth in those characters, so I would have liked to have seen a little more to those characters. I would like to see how Nicholas is going to develop in the next book. I found him to be a good character; a good love interest and overall an interesting persona. After the slow beginning, I was hooked and I thoroughly enjoyed reading this book. I'm really looking forward to reading The Sapphire Talisman!